In an effort to accommodate those who just can’t tear themselves away from their smartphones as they walk around campus, Utah Valley University has added a “texting lane” inside its student center. 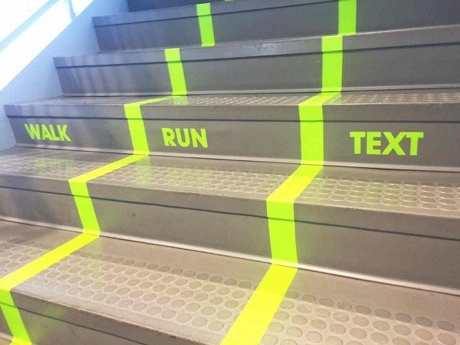 The stairways are now divided into lanes for walking, running and texting. The special designation is a clever way to promote safety and was created by a team of students charged with enhancing the center’s design through the use of art and graphics.